Winona Lake, Ind. One Grace College student is dead and another is seriously injured after being struck by a tree late Friday night. The Winona Lake Police Department responded to a call that came in at approximately midnight Friday, according to a press release from Grace College. Freshman Mallori Kastner was pronounced dead at the scene and senior Jeremy Mohr was airlifted to Parkview Memorial Hospital in Fort Wayne in critical condition, the press release said. A nursing supervisor at Parkview said that Mohr remains in critical condition at 6:40 p.m. The two students were hanging out by Winona Lake when a dead tree with a poor root system fell on them, said Craig Allebach, head of campus security for Grace College. Allebach said there was no wind to cause the tree to fall. 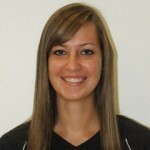 Kastner, a graduate of Wabash High School, was a member of the Grace College volleyball team, the press release said. Grace College is a four-year Christian Liberal Arts College located in Winona Lake, two miles east of Warsaw in Kosciusko County. The college’s counseling office was open from noon until 6 p.m. on Saturday and will also be open from noon until 6 p.m. on Sunday. In a statement on the college’s website, school president Ron Manahan said that campus officials have met with the parents of both Kastner and Mohr. All on-campus activities were cancelled on Saturday, the statement said. Classes will proceed as planned on Monday, the statement said. Information about memorial services will be released at a later date, the college press release said. The incident is under investigation by the Winona Lake Police Department and the Kosciusko County Coroner’s Office. The Warsaw Police Department, Winona Lake Fire Department, Multi-Township EMS, Kosciusko County Sheriff Department and the Kosciusko County Coroner’s Office assisted at the scene.